Meet the Designer: Clare V.
Whether it’s cheese or clothing, we love a great collaboration. 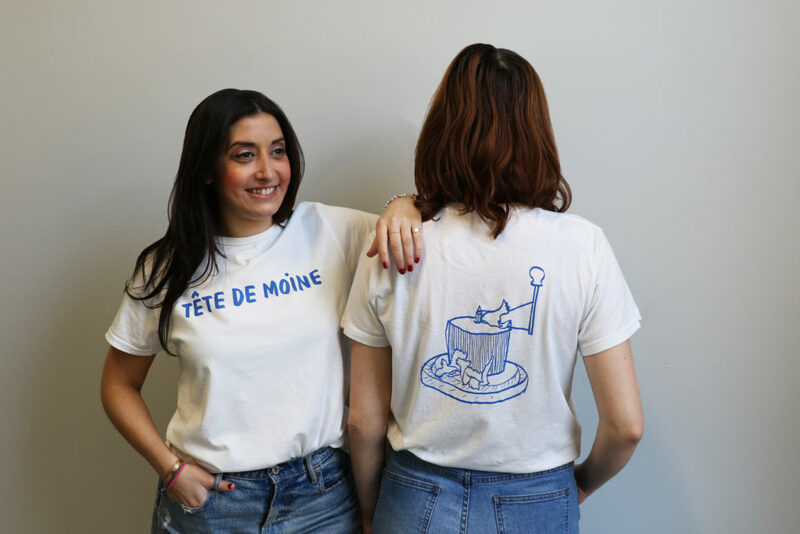 We partnered up with popular designer Clare V. to help us bring one of our favorite cheeses to life with this bold interpretation of Tete de Moine. Known for being chic, functional, and playfully whimsical, Clare V.’s extensive and constantly-growing collection of stylish designs encompass apparel, accessories, and so much more. We sat down with Clare Vivier, the mastermind behind the design, to talk about her daily inspiration, the restaurant world, and what drew her to this potent Swiss cheese. Your brand is known for being chic, whimsical, and practical—how would you describe it in just a few words to someone who’s not familiar with it? On a daily basis, where do you typically find the most inspiration for your brand? I find endless inspiration from the people I work with, and throughout my local community, be it the architecture, street signs and graphics, or people watching. Would you say food plays a big role in your life? Is it ever a source of inspiration? The whole restaurant world and the food community is such an interesting domain right now because there’s so much talent at the moment, and it’s really inspiring everyone. Also inspiring are the restaurants we seek out when we travel. Using those two touch points is always inspiring to me. 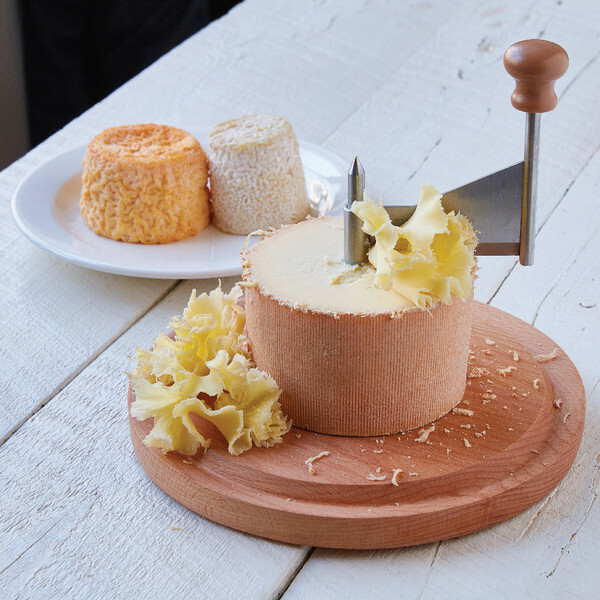 What made you want to use Tete de Moine for the design? 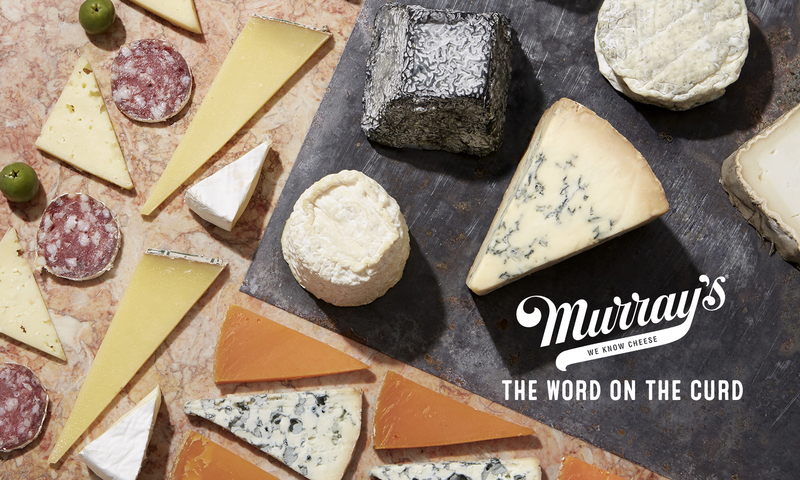 It’s such an obscure cheese and has such a silly name, it seemed improbable that we’d ever use it on a t-shirt until Murray’s asked us. And of course, we also love the cheese. You’re only allowed one cheese for the rest of your life—what is it? A good aged, nutty, salty Comté. Are there any other food collaborations you’re dying to do? We’ve just done one with our favorite chefs in LA, the guys behind Petit Trois, to celebrate their restaurants and their food, which we absolutely love. Ultimately we’d love to do something with a French chef.